Don't miss our other winter warmers including sheepskin gloves and boa. 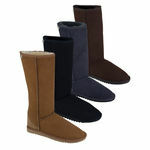 The plush wool pile of our real sheepskin boots keep your feet so cozy, you'll be wishing for longer winters! 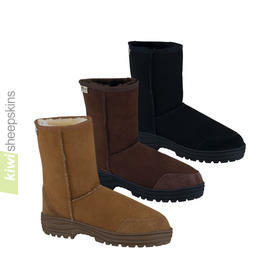 Stylish sheepskin boot styles in the Chocolate color. Looking for something a bit taller? See our extra tall Musketeer Ultimate boots. With so many styles to choose from, here are just a few Black boots from our Ultimate range. A couple more mid height boot styles from our extensive range in Chestnut color. Our Oxford Grey color looks great in our two Classic EVA styles - Mid Calf and Full Calf. Check out our great range of outdoor boots from Ultimate Mid Calf to extra tall Musketeer. 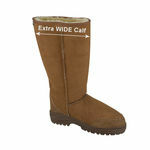 Our popular extra tall Musketeer boots can be worn with top fully extended almost to knee height. The Oxford Grey color in our two Classic EVA styles look great with blue denim. 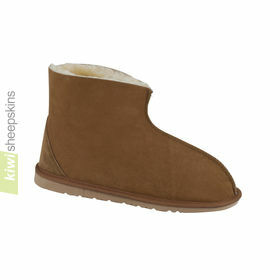 Our unisex sheepskin boots look great and keep your feet cozy and warm. All our sheepskin boots are proudly New Zealand made in Christchurch, Canterbury to our exacting specifications from Australian or New Zealand sheepskins. Only genuine twinface sheepskin is used - the superior option - sheepskin hide one side and its still attached wool pile the other. We stand by the quality of our products - all sheepskin goods including all footwear comes with our 12 month warranty. Our boots are particularly popular with customers in the UK, USA, Canada and Australia. Don't miss the numerous customer testimonials on each boot's product page or 100's of sheepskin boot reviews on our testimonials page! 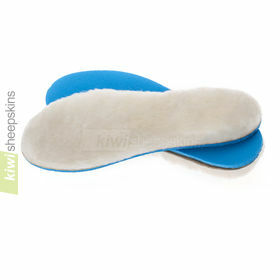 Also check out our ever popular range of Kiwi branded sheepskin slippers - all made from real sheep skin for maximum warmth and comfort. 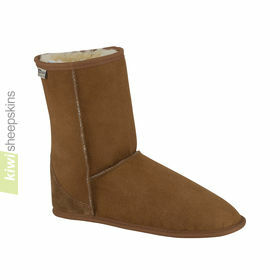 Our best looking sheepskin boots ever - stylish mid calf button boot style! The side opening with button and elastic cord closure makes slipping your feet in and out quick and easy. The Ultimate in tall sheepskin boots. 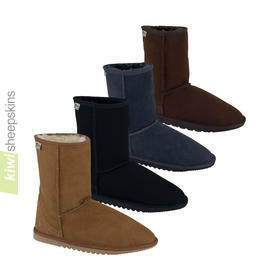 We are unaware of any sheepskin footwear made to a higher standard than our Kiwi Sheepskins branded Ultimate range. After many requests over the years for sheepskin boots that cater for larger legs, we're delighted to exclusively offer this wider calf boot. Magnificent tall triple button boot featuring our robust Ultimate chunky side-stitched sole, removable sheepskin insole and hide toe cap. 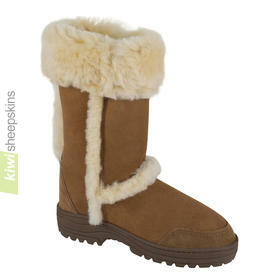 Popular version of our Ultimate Full Calf sheepskin boots with laced opening down the outer side. Looks great and allows you to loosen the fit around the calves. 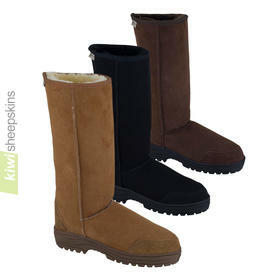 Special version of our top selling New Zealand made Ultimate sheepskin boots range. Contrasting spilled wool sheepskin on all four seams including rear. Cute kids version of our Mid Calf Classic EVA sheepskin boot. 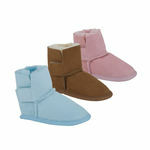 Cute soft sole boots for babies and toddlers.